The Faust legend, which can be traced to puppet shows of earlier days, portrays a philosopher who, through Satan's aid and in return for the price of his soul, works magic at will. 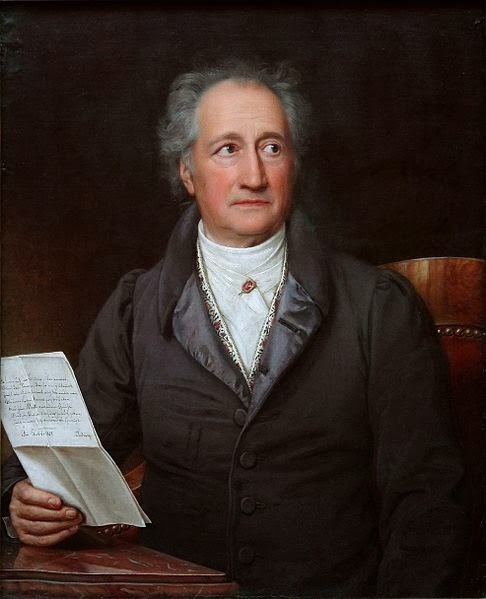 From this rude framework Goethe has reared a drama of sublime grandeur. A high vaulted narrow Gothic chamber. FAUST, restless, seated at his desk. Of this abhorr’d and musty room! With tighten’d pressure in thy breast? By which thy life-pulse is oppress’d? And dead men’s bones in smoke and mould. The meaning of each hallow’d sign. Weave one vast whole from Being’s ample range! Your sweet and fostering tides—where are ye—where? Is strain’d to catch some new sensation! I feel my heart surrender’d unto thee! Woe’s me! I cannot bear thy sight! Grasps thee, the demigod! Where’s now the soul’s deep cry? Who towards me press’d with energy profound? Trembles, a crush’d and writhing worm! O’ersweep the world; how near I feel to thee! Whistling through wither’d leaves and autumn mist! Check’d in his progress, the poor devil dies. Wherein, distorted oft, the times are glass’d. Then truly, ’tis a sight to grieve the soul! Ay! what ’mong men as knowledge doth obtain! E’en here, where shapes immortal throng’d intrude? For once, I e’en to thee feel gratitude. I felt myself shrink dwarf’d as I survey’d! The life of gods,—how am I punish’d now! One thunder-word hath hurl’d me from the goal! Back on humanity’s uncertain fate! Who’ll teach me now? What ought I to forego? Impedes the tenor of life’s onward way! When wreck’d our fortunes in the gulf of time. And what thou ne’er shall lose, o’er that dost shed the tear. Crushed ’neath the passer’s tread, lies buried there. So long as o’er this desk the sorry lamp hath shone. Than burden’d by that little here to sweat and groan! As when, ’mid forest gloom, reigneth the moon’s soft light? Now in thy master’s need thy grace impart! Past which in terror others fain would steal!